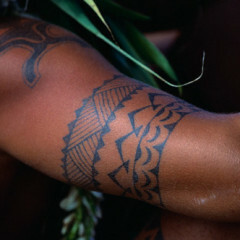 Samoan and Maori tribal tattoos are unique tattoo designs. This guy chose to get a leg tat inspired by these cultures. 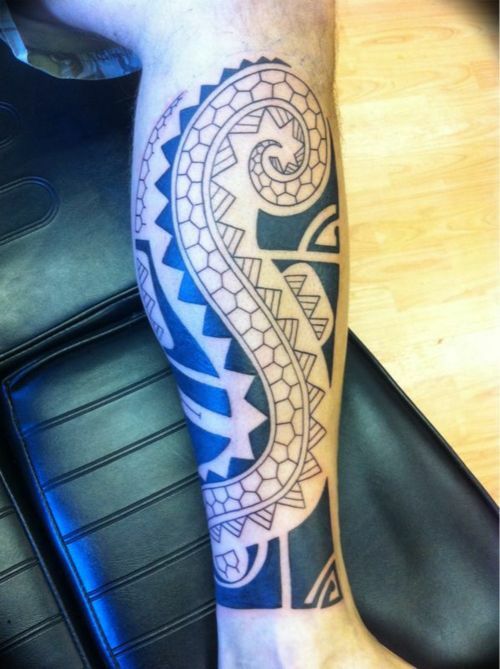 This leg tattoo is inked in the traditional design of Samoan and Maori tribal tattoos, and includes a variety of different shapes and designs. 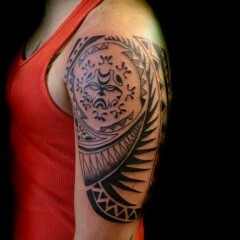 As a whole, the tribal tat is inked in black and white, although some parts of the tattoo are filled in and some are just outlined. This leg tribal tattoo begins at this guy’s left ankle and extends up and snakes around his shin bone just below his knee. The tattoo design utilizes primarily geometrical designs, including triangles and pentagons. Traditionally, Samoan tribal tattoos were meant to symbolize power, honor and status, warranting respect from other tribe members. 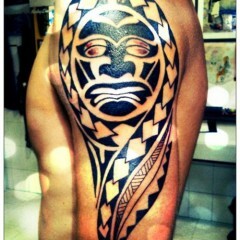 Today, Somoan and Maori tribal tattoos have become popular types of tattoo designs for men and women for a variety of reasons. Some people think Maori-inspired tattoos are interesting and unique, while others get inked with Samoan tribal tattoos because they are a symbol of their heritage.